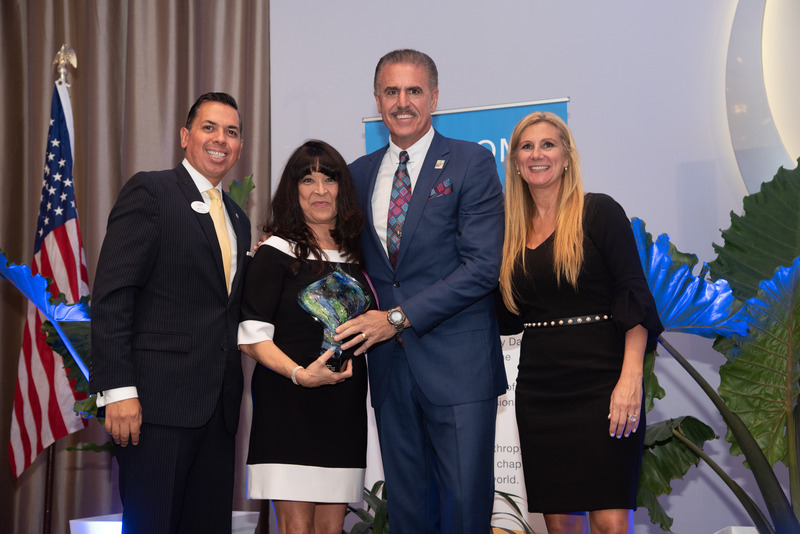 The Association of Fundraising Professionals (AFP) Miami Chapter recognized Carnival Foundation, the philanthropic arm of Carnival Corporation, with the 2018 Outstanding Grant Maker Award during its 33rd Annual National Philanthropy Day Luncheon on November 2, 2018. The award honors Carnival’s philanthropic work and its dedicated support of nonprofit organizations improving South Florida through grant making. The foundation was jointly nominated for the prestigious award by two of its longstanding community partners, Zoo Miami Foundation and Big Brothers Big Sisters of Miami. For more than 25 years, Carnival Foundation has endeavored to make South Florida and other communities better places to live and work by supporting hundreds of nonprofit organizations. Established in 1975, AFP Miami is one of more than 170 AFP chapters in the United States, Canada, Mexico, and China. AFP Miami’s mission is to educate and advance the careers of those in the rapidly changing field of development. To learn more about AFP Miami and the 33rd Annual National Philanthropy Day Miami Awards, visit www.afpmiami.org. Left to right: Adlar Garcia, president of AFP Miami and director of alumni relations, Miami Dade College; Linda Coll, executive director, Carnival Foundation; Ron Magill, communications director, Zoo Miami; and Andria Hanley, National Philanthropy Day Co-Chair and vice president of development, Camillus House.